How often do we find ourselves saying those word: “If only I had done…” “If only I could…” “If only I had known…” We are no different from the woman who reached out and touched Jesus’ robes, believing, and being made well. 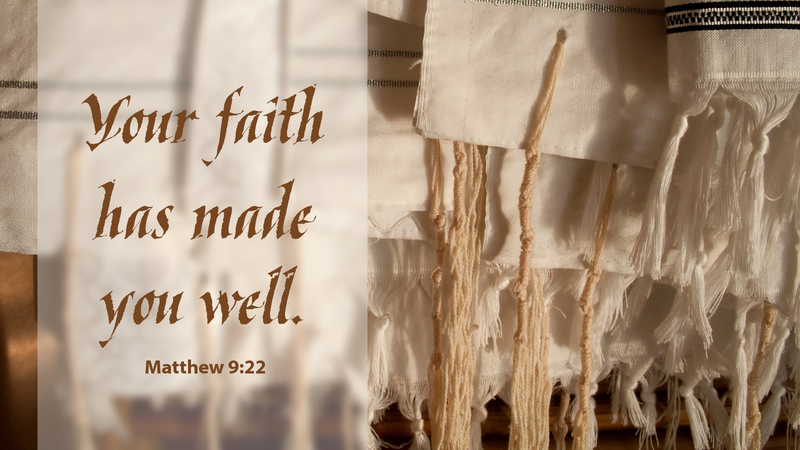 This week sitting at the bedside of a member, the question of faith arose with her family. She responded with conviction, “I know God is with me. I am going home!” We knew what she meant. Her faith ensured for her, and for us, that she was going home to be with her Lord. And she completed that journey with peace and dignity. Today we rest with the assurance that her faith has made her well in a way we don’t always consider. The words, “if only,” when placed with our faith in God, have the power to become a promise. If only we can place our trust in him, whatever we need, whatever we seek, whatever is important, will be fulfilled by the one who holds us close. That is his promise—if only we will receive it and believe. Prayer: Lord Jesus, increase my faith. Amen. Today’s devotion was written by Dawn Nelson, Pastor of Lord of All Lutheran Church, Strathmore, Alberta.